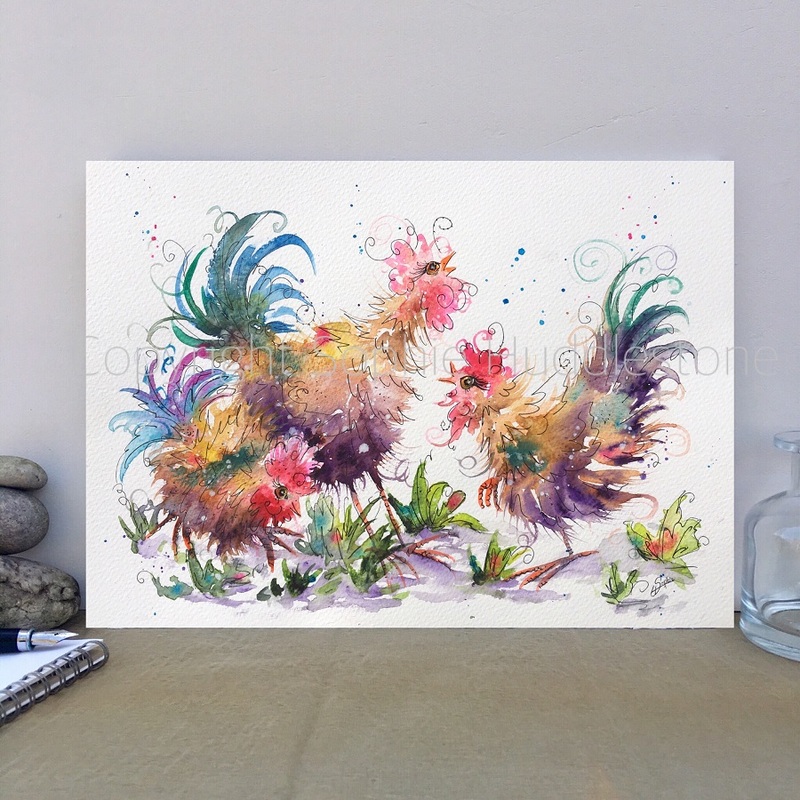 Chicken Trio by Sophie Huddlestone. Size 12″ high by 9″ wide, unframed and unmounted. Hand painted in artists watercolour paints on to top quality watercolour paper – 300g/m2 140Lbs, acid free, archival. Includes a small certificate card, signed, with purchase details, which proves the authenticity of this purchase direct from me, the Artist. The copyright wording is not painted across the actual artwork, it is edited onto the display photograph. Full copyright remains with the artist, Sophie Huddlestone. Posted flat in layers of cardboard. Will require a signature on arrival.